Alice Through the Looking Glass is a movie that will spark imagination and touch open hearts with timeless messages of valuing identity, family, friendships, time, forgiveness and adventure. I was delighted to see the world of Underland come to life enriched by a visually stunning film and pockets of truth that can resonate for children and adults. Alice (Mia Wasikowska) steps through the looking glass to another whimsical feast for the eyes and heart. Emboldened by her loyal friendship and selfless love for her best friend the Mad Hatter (Johnny Depp) ventures out on a quest to help save him and find his family. In order to restore the Hatter to vibrant life she must deal with time travel trips and Time himself (Sacha Baron Cohen) that reveals new layers and facets to the truth. There is a running thread of discovery through each time jump that Alice makes where she observes beloved characters Mirana (Anne Hathaway), Iracebeth (Helena Bontham Carter), and the Hatter in their formative years. I love the message that in order to understand someone you must realize that each person has faced their own trials and tribulations. Never be quick to judge but take the time to listen to each person with an open heart of acceptance that allows room for forgiveness. “You cannot change the past, but you can learn from it.” Alice’s mindset changes from determination to fix problems to humility in valuing what a new perspective can give you. Pain of the past can be let go when you step into the future with perspective, possibility and lessons learned with gratitude. Another message that is beautifully interwoven throughout is to not to be afraid to be fully you. It is when Alice own her uniqueness and ability to find wonder that she is able to use her strength to help save the day and the relationships that mean the most. And of course, believe in the impossible and do the impossible. If you watch the film go with an open heart ready to revel in some madness and experience moments of friendship. Step through the looking glass where adventure awaits. In your life, what looking glass do you need to step through to enjoy a new experience? When you look in the mirror what adjectives come to mind to describe you? Breakfast is my favorite power meal of the day. Egg whites, avocado and a healthy green elixir of veggies get my mind exploring the possibilities of a promising day filled with adventure. Create an inviting atmosphere for yourself to start your day. Change your point of view from the ordinary to the extraordinary and get ready to embrace the impossible. Adventure awaits! Wake up each day with a grateful heart and celebrate your blessings! An attitude of gratitude can brighten a moment of despair and shift your perspective from being just about you to others and bigger events happenings in the world. Who can you say “Thank You” to? Who and what are you grateful for? It’s not about winning its about finishing the race! Lift someone up today! What: Derek snapped his hamstring during an Olympic race and struggled with a limp to continue on and finish a full lap around the track to receive a standing ovation from the crowd. How: His father broke through security to help finish the race side by side. He drew up alongside Derek in his son’s moment of hurtful pain. 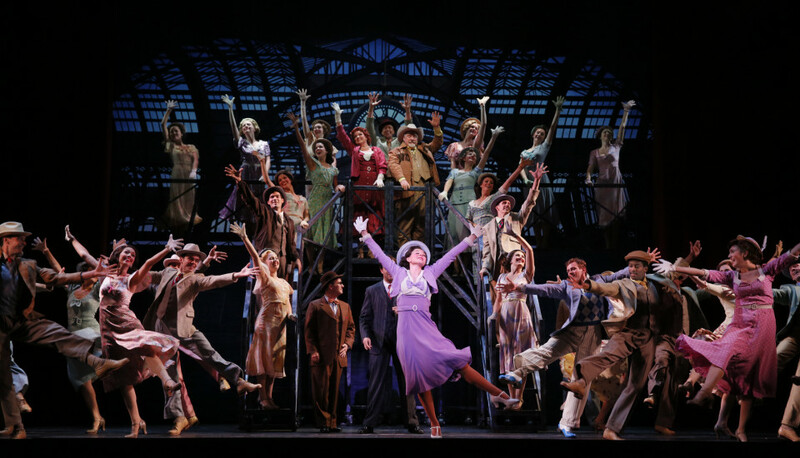 In the musical 42nd Street’s National Tour, Peggy Sawyer (Caitlin Ehlinger) maintained her bright positive attitude and willingness to go after her dream with tenacity and joy! When someone was a naysayer and acted in cynicism to discourage, Peggy was the refreshing light who was willing to love her job even in the chorus. She made a positive difference with what she was given, held onto her dream and her true friends even when she found stardom. Peggy won over those naysayers by being herself! Be your own kind of Peggy at your workplace or life! Embrace who you are, go after your dreams, appreciate what you have and love those around you not for their status but for true friendship. PEGGY: Miss Jones and Mr. Barry just invited everyone. Is something funny? JULIAN MARSH: You are. Eyes shining like a kid at Christmas, dreaming of parties and opening nights, the tinsel and glitter of musical comedy. Just look at yourself – a speck of dust on this stage, indistinguishable from the forty other specks of dust I put there! PEGGY: I know that, Mr. Marsh. But put all those specks together, you have something alive and beautiful that can reach out to a thousand people we’ve never seen before. JULIAN MARSH: Broadways dreams, Sawyer! We’ve all have ‘em! PEGGY: Well, I mean to hold on to mine, Mr. Marsh! It was a joy to watch the production at Segerstrom Center for the Arts! Thank you to the cast and creative team for bringing shining positivity! I love Caitlin Ehlinger’s performance as Peggy Sawyer with her energetic tapping and beaming smile that lights up the stage! Check the website for more tour information! Last Monday, Bindi Irwin radiated fierceness as she received a perfect judge’s score on “Dancing with the Stars” for her Argentine Tango. Bindi’s positive outlook is contagious and she knows that kindness is a sign of strength and not weakness. She fully committed to the character of the dance with personality, passion and precision. It takes strength to give kindness that strengthens others. Last night on Dancing With The Stars Andy Grammer and his pro partner Allison Holker received a standing ovation and a perfect score of 10’s across the board from the judges for their tribute to “Good Morning” from the legendary musical Singing in the Rain. The new reinvented version choreographed by Holker captured the essence of joy and playfulness that was exuded from Donald O’ Conner, Debbie Reynolds, and Gene Kelly despite lacking the intricate energetic tap steps that the original was known for. Watch both versions below and start your day with a dance in your step celebrating the blessings in your life! 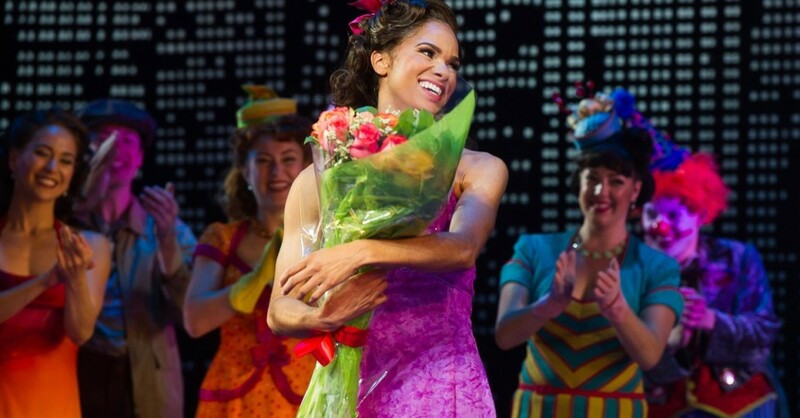 Misty Copeland stands at only 5ft 2inches which may be considered small for a ballerina. However, her influence of positivity and strength is anything but small. She is one of my heroes in learning to maximize your potential, dreaming big for others and going after life with a fierce tenacity all while staying grateful and humble. She dances with an expansiveness and fluidity of motion that reminds you of a burning flame. Her movements give you the impression that she is 6ft tall. Her mentality and movements are a far cry from small. 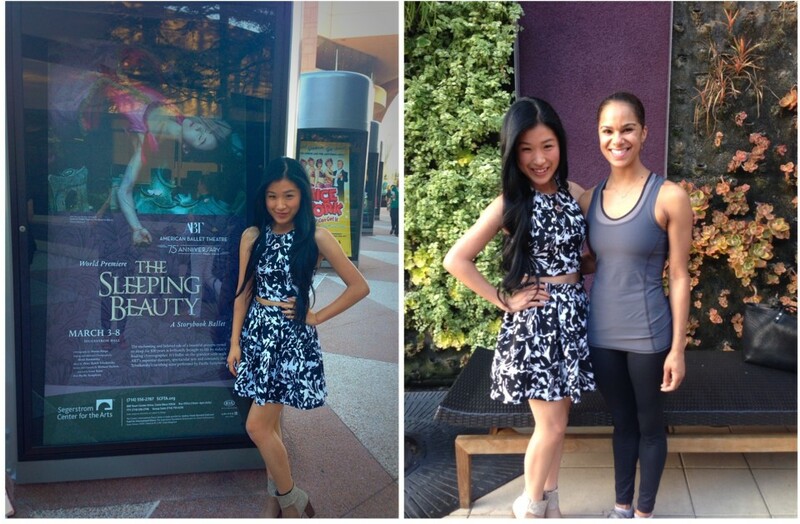 I had the chance to meet her in person after an ABT’s World Premiere of “Sleeping Beauty Ballet” performance. She met me with such grace and kindness. It seems that her accomplishments don’t define her but her character does. Misty’s documentary “A Ballerina’s Tale” will be released on October 14th. For those that live on the West Coast Misty will be performing in American Ballet Theater’s production of the Nutcracker Ballet at the Segerstrom Center for the Arts. Her specific performances are on Wednesday, December 16 at 7:30 p.m. and Saturday, December 19 at 7:30 p.m.
Another ballerina who in an inspiration is Misa Kuranaga who is a principal ballerina for the Boston Ballet at only 5’1. Let your story be filled with gratitude for your individuality and leaps of splendid joy in celebrating life’s big adventures! I hope these fury friends bring you some joy! But give the world the best you have anyway! You see, in the final analysis, it’s between you and God. I love how this current film version of the story of “Cinderella” embraces the theme of courage and kindness that transforms the soul. The butterfly is a visual image of many transformations. Check out my Pinterest board to the wonder that is Cinderella!